According to the report, net sales for the fourth quarter of last year were 3.1 billion euros, net income was 788 million euros, and gross margin was 44.3%. Specifically, ASML pointed out that in the DUV lithography business, the demand of storage customers has kept TWINSCAN NXT:2000i growing. At the same time, ASML has also improved the reliability of the product. It is understood that the previous generation of products takes six months to achieve high reliability, and the product took only two months. For the full year last year, ASML had net sales of 10.9 billion euros and net income of 2.6 billion euros. It is worth noting that ASML has signed a memorandum of understanding with Nikon to resolve the patent dispute between the two. ASML expects this dispute to have a negative impact on gross margin last year of 131 million euros. At the same time, due to a fire in an electronic component and module supplier of ASML, ASML said it will have an impact on sales of about 300 million euros in the first quarter of this year. Most of the impact will be eliminated in the second quarter, and full recovery will wait until this year. The second half. For this year, AMSL expects net sales for the first quarter to be 2.1 billion euros and a gross margin of 40%. ASML also stressed that five EUV equipment orders were received in the fourth quarter of last year. So far, customers have proposed 30 EUV systems this year, including the first batch production systems for DRAM customers. From the specific market point of view, ASML said that due to the cold market in the fourth quarter of last year, some customers have delayed the procurement of photovoltaic systems in the first half of this year to the second half of the year to balance the supply and demand balance in the terminal market. 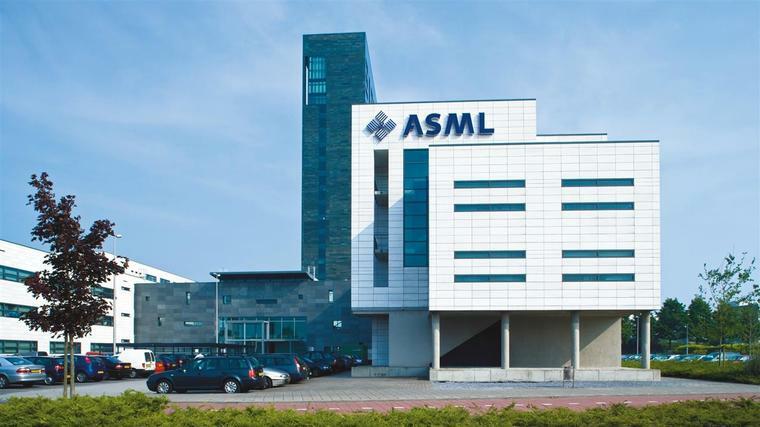 In addition, ASML said that this year, based on customer's strong investment in technology transformation and production capacity of the most advanced nodes, will drive the demand for EUV and immersive systems, the logic sector is expected to become a new growth driver. On the other hand, ASML is also optimistic about the strong growth of exports to China.According to the report, net sales for the fourth quarter of last year were 3.1 billion euros, net income was 788 million euros, and gross margin was 44.3%. On the other hand, ASML is also optimistic about the strong growth of exports to China.